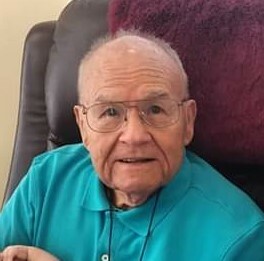 John “J.W.” William Hill, 88, of Kinston, passed away on Tuesday, December 4, 2018 at his home. J.W. was a faithful member and Corp. Sargent Major of The Salvation Army, American Legon, VFW, Mason and Shriner. He served his country in the Army as a 1st. Sargent. He was a friend to all but most important a loving and devoted father, husband, grandfather and great grandfather. He was preceded in death by his first wife, Audie Marie Hill and son, James William Hill. J.W. is survived by his wife, Ruby Dutton Hill; daughters, Joyce Hill Fields and husband John of Kinston, step daughters, Debra D. Risher and husband David of Kinston, Pamela Parker and husband Jimmy of Myrtle Beach and Starla Venters of Myrtle Beach; step son, Judson E. Dutton Jr. and wife Paula of Myrtle Beach; grandchildren, John Fields Jr. and fiancée Samantha, Brooke Smith and husband Quentin, Lindsey Jones and husband Jack; 14 step grandchildren; six great grandchildren and 13 great great grandchildren; sister, Mary Hayes and husband Billy of IN; and brother, Roy “Fella” Hill and wife Susie of Fayetteville. Visitation will be held 10:00 a.m. to 11:00 a.m. Friday December 7, 2018 at Garner Funeral Home. Funeral service will be held following visitation with Major Milton Wood and Captain Chris Lyles with the Salvation Army officiating with graveside following at Pinelawn Memorial Park. In lieu of flowers, memorials may be made to The Salvation Army of Kinston, 2110 N. Queen Street, Kinston, NC 28501.